You must have heard about responsive design a lot. Let’s talk about what it is and what it does to your business. Responsive web design has set a standard to all navigation options regarding web designs. A minimum standard set by Google on this type of design is that the website must use same URL in both desktop and mobile devices. The content will automatically fit the screen after rearranging itself. For example: A web developer can see the same content and design on a desktop plus mobile at the same time. The content size, font, images are not compromised. The entire page will be loaded by the browser and re-sized according to screen size. Now, the million dollar question is, what benefits will it bring to your business? Smartphones and tablets have slowly replaced the dependency on desktops as they are fast and portable. This has also changed the way user experience and web designs have gained popularity over the years. Before this web-browsing compatibility, designers were struggling to keep the look and feel of the website intact. Desktop navigation and interaction on smart phones were completely different and limited. Responsive design adds new features for designers to follow. 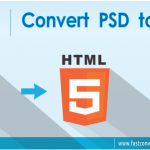 Some of the features are: High-pixel resolution, click and touch, Adobe’s Flash compatibility, screen size and optimized HTML to create a responsive website. Today its mandatory for SEO based digital markets to adopt a mobile-friendly approach. 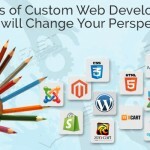 By 2015, if you are a part of this web-designing evolution then you will experience a probable number of higher sale figure that is comparable to computer sales. Just as the growing need to address quick search of busy customers will increase, mobile search will overtake big flat screens in the upcoming years. 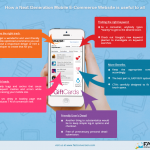 How you can market your products and services will depend on its mobile-friendliness. That might sound not-entirely-true but experts suggest us to be more updated on web designs. What designers need to keep in mind while designing? While making a responsive website, designers need to cross check whether the screen-layouts, images, text, navigation properties, UI or graphic designs, audio & video options are readjusting themselves according to screen size or not. This will also ensure time and cost effectiveness for the creator and adapter, both working on the website. Why responsive web designs are most sought after? 1) It’s awesomely flexible: You can feel the joy of scrolling through the content on your mini devices. The screen resolution and color is all maintained. Fluidity of images and grids are not forsaken. The same flexibility makes any mobile device having this feel and look competitive with other computer screens. 2) Unmatched User Experience: As a consumer, how would consumers decide upon buying products from a website do you think? We have a simple answer to that. A research conducted on internet users in 2014 revealed that the content has to be easily available, less congested and easy to access that determines how much a user consumes the information given on website. Now this also should be according to their time preference and choice of device. No wonder, mobiles are more convenient and easy to access. Hence, a responsive design will help the user to gain unmatched web experience when they can easily tap into the website on-the-go. It is not required for the user to resize or scroll through the website unnecessarily as it is automatically integrated in this design. 3) It looks after you budget: If one website shows all the details of your company in a compatible browser then there is no need to buy another website for the sake of device compatibility. 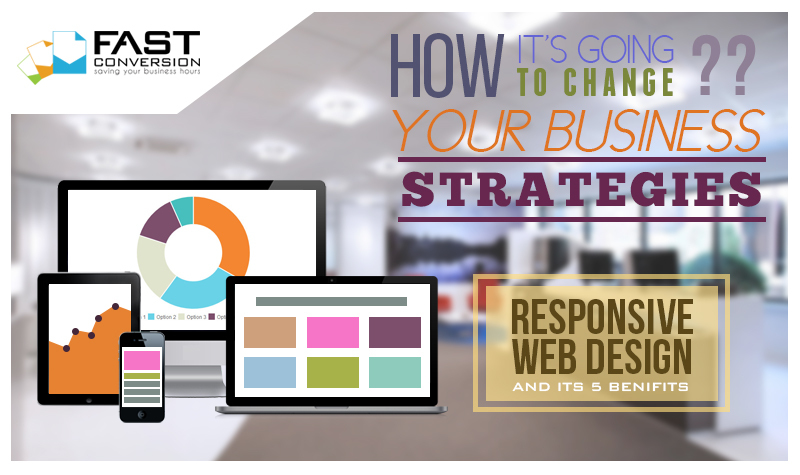 The cost of buying another website is cut down as a responsive design serves all the needs of your web store singlehandedly. Some website owners are forced to buy two different web addresses in order to navigate through their web content. One is compatible with a mobile device and another with the desktop. This limitation in usage is broken by responsive designs. So if someone wants to direct all their SEO based mobile traffic to one single site then they might choose responsive design. 4) Google prefers Responsive websites: Google has recommended responsive mobile configuration as one of the best industrial practices. The minimum criteria for SEO benefits from Google can be obtained by keeping only one URL on same HTML across all devices which makes it easier for Google to organize, crawl and index important content. Furthermore, Google feels that in a single website, content is easy to share, read, bookmark for users than scrolling through content which is based on other URLs of the same owner. 5) Its SEO friendly and easily manageable: For a successful SEO campaign, one needs to have a good mobile site and desktop site. Both integrated together, not apart. Like it is mentioned in Point No. 4, managing one site and one campaign based on it is easier than two sites and two campaigns. This is the greatest advantage for a mobile site user as searching keywords becomes more optimized and convenient. Responsive based designs also perform well on multilingual search results. Hence, you see how important it is for your online business. Mobilegeddon Has Come and Gone – Now What?